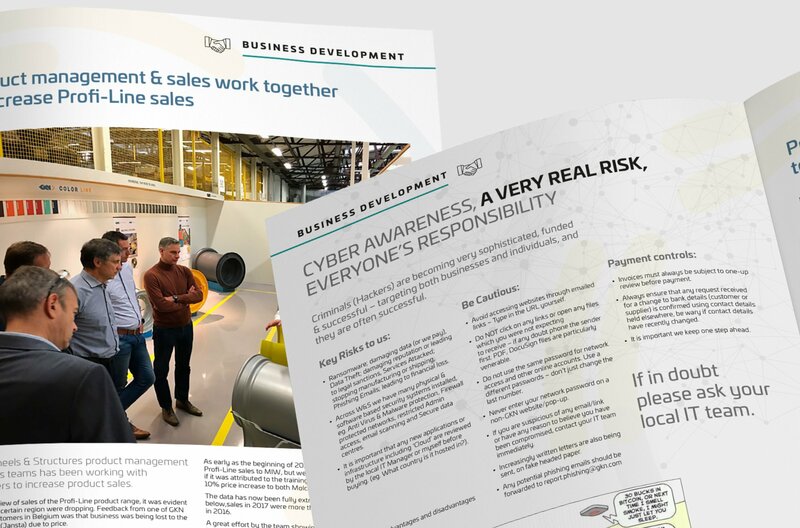 We designed a flexible newsletter template, which is simple to use and allows Emerge or GKN to run in new copy and images for each edition. 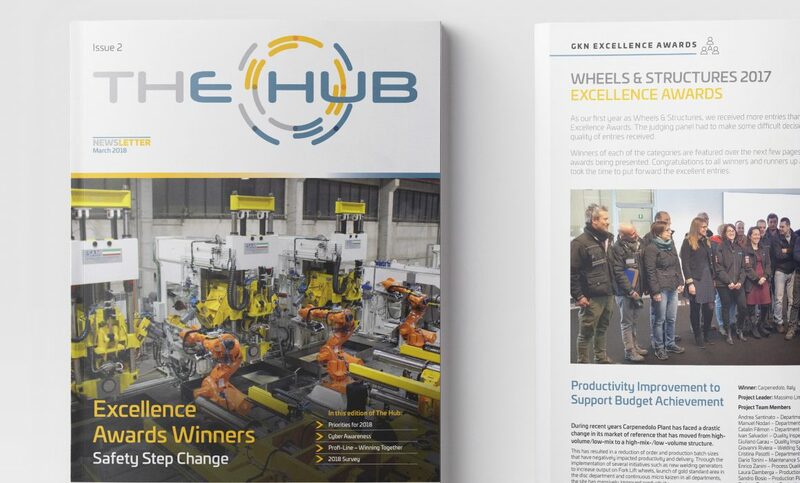 The Hub is an employee newsletter, which is distributed to around various departments and locations at GKN Wheels & Structures. Both printed and PDF issues are produced for circulation. On the back page of the PDF version is an interactive form, which allows employees to submit feedback about the current edition.